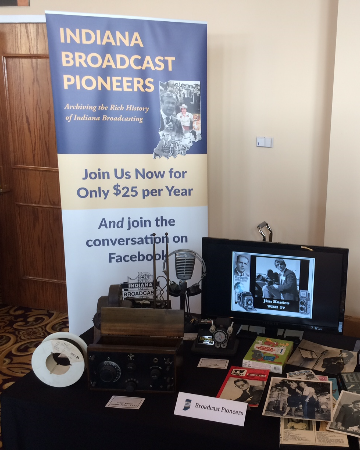 Thanks for your support of the Indiana Broadcast Pioneers and the Indiana Broadcasters Association. The Pioneers Committee preserves our state’s rich broadcast history through this website, a popular Facebook page, a quarterly newsletter, and a forthcoming broadcast archive project. The Committee plays a vital role in recommending individuals for induction in the Indiana Broadcast Pioneers Richard M. Fairbanks Hall of Fame.